Paul says we have to live as children in order to find out what pleases the Lord. And what do children do best? They dream. It takes faith to dream, and to trust God with our dreams. God wants His children to come to Him with simple faith, allowing Him to be the Father of our dreams, trusting Him no matter what. Our dependency on the supernatural God of our universe and not our own limitations, is the strength behind our dreams. 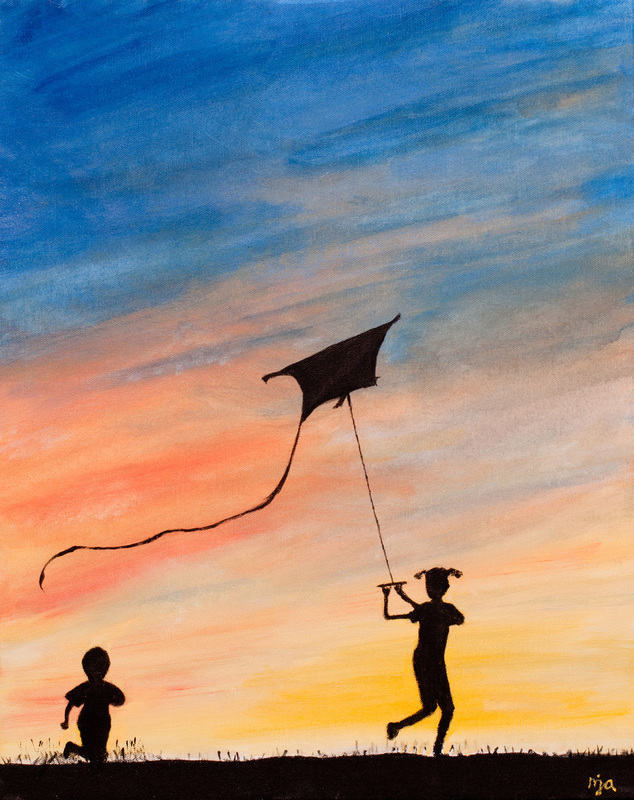 This painting of children flying a kite illustrates what happens when we trust God. He allows our dreams to take flight!